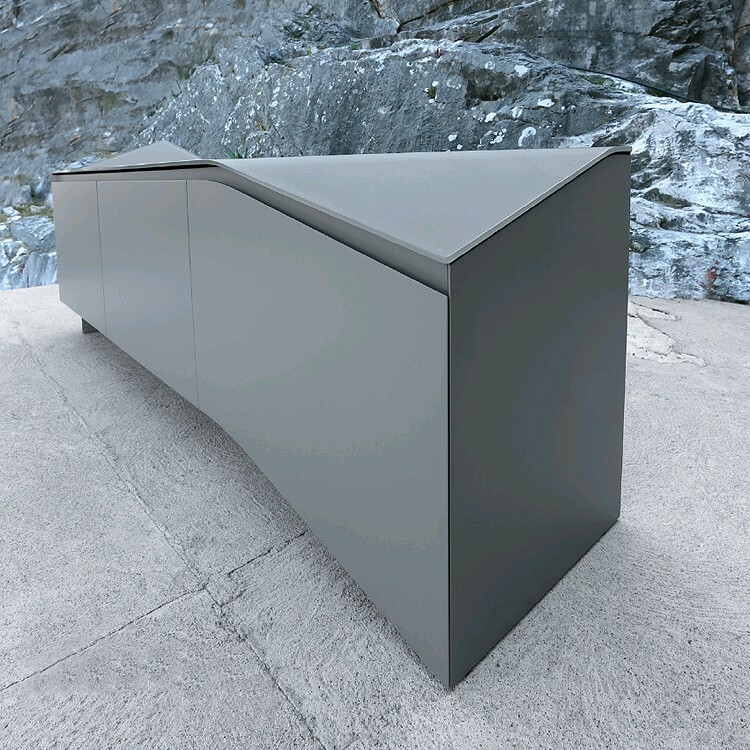 A completely unique sideboard with a funky curved design. The frame and doors are made from wood with a veneered or lacquered finish and stand on chromed steel feet. 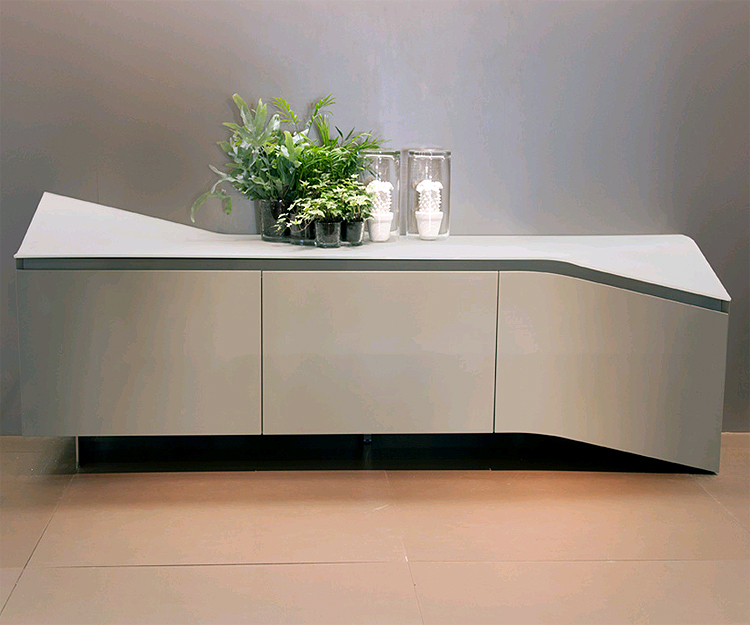 The glass curved glass top is matt lacquered top. See links below for all lacquered options. Each compartment has 1 clear glass shelf.